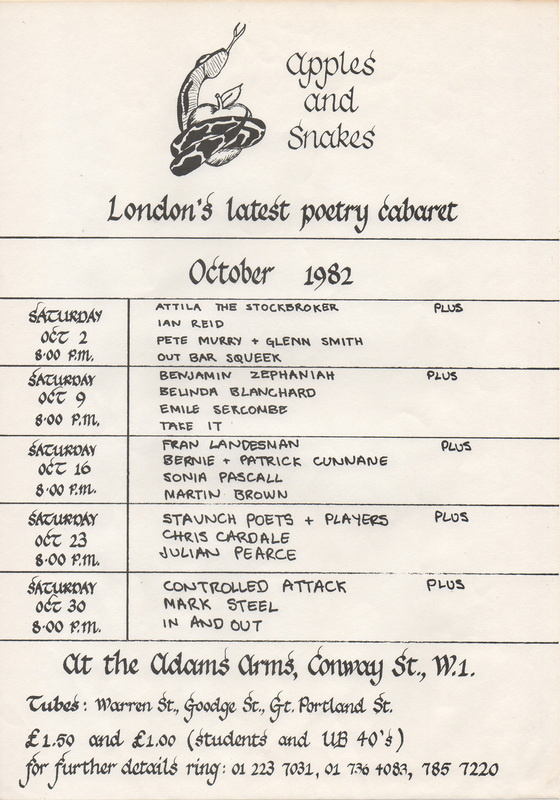 The first Apples and Snakes show. 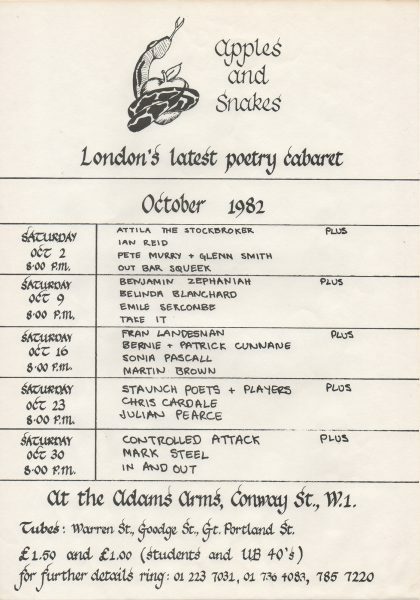 Headlined by probably the then-best-known name on the live poetry circuit, supported by various alumni of Worthless Words, the writers’ collective that spawned A&S in the first place. Glenn Smith later performed under the name Markus Jahn.